Selected Villas for rent near Gusto (Koh Samui) - Contact us now! 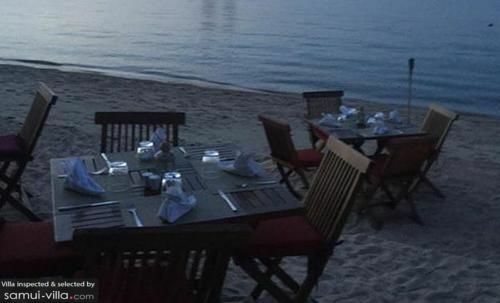 Dip your toes in the sand, breathe in the salty sea breeze and indulge in a wonderful spread of Italian cuisine at Gusto’s. Set in a charming shophouse overlooking the sea, guests can occupy a seat indoors in a spacious environment, or dine outdoors along Bophut’s shores. When it comes to food, Gusto dishes up nothing but the best Italian fare, making it the perfect spot for couples keen on devouring wood-fired pizzas, homemade pasta and authentic Mediterranean fare.